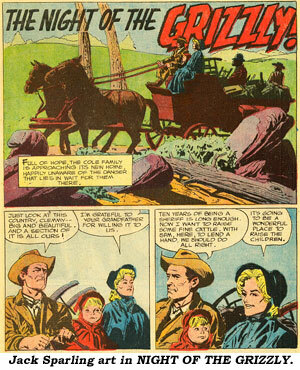 In addition to Clint Walker being featured in his own CHEYENNE Dell comic (#1-25, ‘56-‘62), Dell also adapted two of Clint’s Western movies into comic book form. 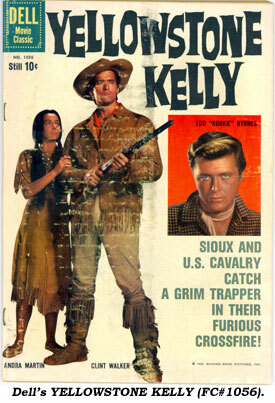 YELLOWSTONE KELLY, based on the 1959 Warner Bros. film starring Walker, Edd Byrnes and John Russell was adapted by Dell as Four Color #1056 in late 1959.
adapted the screenplay to comic form. 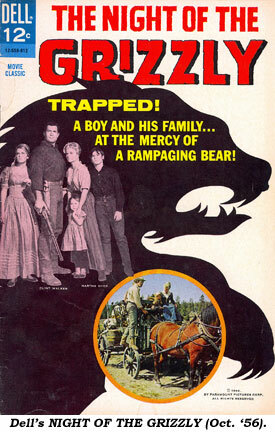 the Grizzly” (‘66 Paramount) into comic form in October ‘66. 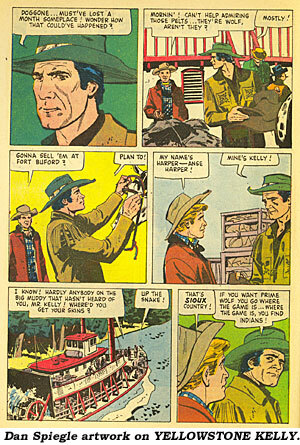 Two film photos on the cover with interior art by Jack Sparling.